City Beat Entertainment Productions is the professional wedding and special; event sound you are looking for. With over 10 years of sound and DJ experience, our promise is to give you a wonderful lasting memory. We have the wedding, corporate and private party experience you want. 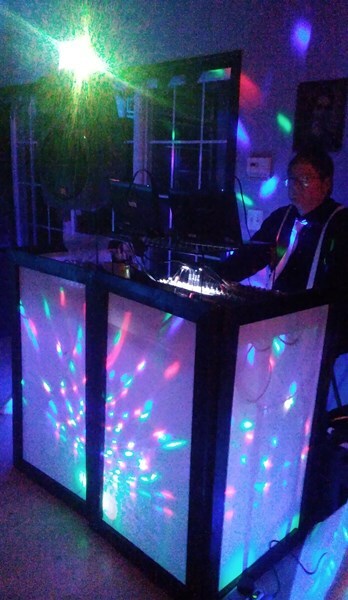 Our quote includes our pro deejay plus assistant and all your special request music preparation, effect lighting, and travel expenses for your event. MC services as needed! We provide fair, market-standard quotes for the high quality services provided. Our attire will match your color, theme or formality. My background is radio and sound engineering. Starting at 16, I was a DJ at a small radio station in western North Carolina. As the years past, I improved my craft and moved to larger stations along the east coast, playing country, oldies, Top 40 and rock. Now, I do sound engineering for events and bands in the Atlanta area. But my love for music has never waned and that is why I want to be the one to make music for YOU. I have expanded my music knowledge to give you nearly any music styles you want! Ask us about 'BANDEOKE'. Our live band playing to your karaoke singers! Great fun and entertainment. Join the competition!! Professional PA sound system for indoor/outdoors. 'Club' sound available as an upgrade. Basic Lighting included in quote. Full effect/wow lighting as an upgrade. Our reviews speak for our talent, value, quality and entertainment. dinners or other events leading up to the big day as part of your package. We can have pro gear for multiple location set-ups. Weddings, conventions, corporate/private events, dances, festivals, park concerts, fundraisers, clubs. 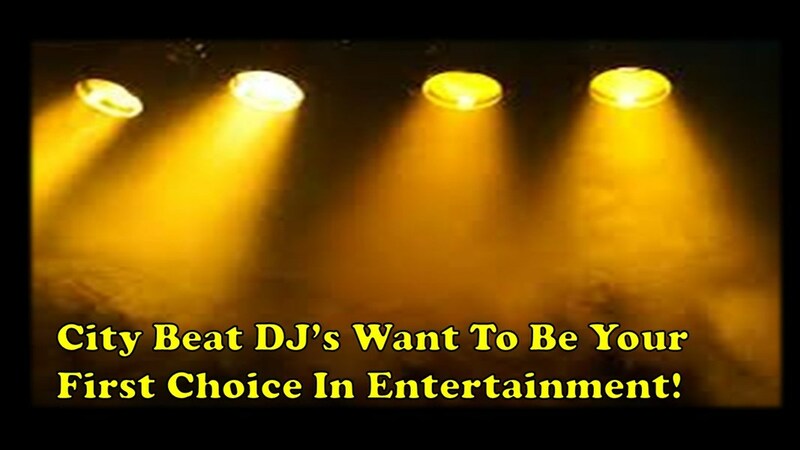 We look forward to being your selected DJ and adding your event to our calendar. City Beat Entertainment was by far one of the most professional and prepared DJ vendors that I have ever booked. They did their homework, came early and flowed well with our guests. They had an amazing setup with lights, fog machine, great music and friendliness. They also worked extremely hard with my difficult crowd to make sure everyone was happy!! I give them 5 stars and would have them back to entertain any event - our Halloween party was better with having them. Honest, reliable, and life of the party!! we had several physical locations that he accommodated. He emcee'd everything we needed and we had so much fun with our friends and family. Many more reviews from our site. I have been doing pro sound for City Beat Band for over 6 years including DJ music for all their breaks and before/after the gig. Please review all our band and DJ reviews!! City Beat made my wedding amazing! From the ceremony, to the cocktail hour, and throughout the night at the reception, we heard only compliments about them! They went out of their way to learn specific songs just for our ceremony and first dances. Communication was great and City Beat made sure to cover all of their bases before the day of the wedding. They also accommodated requests made during the ceremony. I can't overstate how great and talented they are. They blew us away! We were asked several times during the wedding (and after) for their contact information. I wouldn't hesitate to hire them for a future function! City Beat - Thank you so much for making our wedding fabulous. We had great communication and the band was flexible and ready to make changes when we needed to. They also worked with our budget and gave us everything we wanted. Loved the music and singers. City Beat was fantastic. They played all the music we requested and the first dances were perfect. Everyone had a great time and gave us so many compliments. We'll always remember this night. The dinner music was soft and enjoyable and the dance music was so much fun. Donna helped us with music selections and with the timing of the whole wedding. We would definitely use them again! We had a great experience with all of the band and singers. They learned our first dance music and had a special ensemble for our ceremony. Always music playing and they emcee'd for us too. I hope to see and hear them again. The band played both indoors and outdoors at our anniversary celebration on the lake and they were great. They played the music we love and were very accommodating. We had a great experience with City Beat. They performed for our holiday party and everyone enjoyed the music and had a great time. We want to book them for our Christmas party this year! The band kept the crowd engaged and provided very entertaining music. We normally use a DJ for these events but the live music was a great addition and really made the event work! Great Job City Beat! Better than expected. Very Professional. You guys did a great job! Will recommend and hire again in the future. 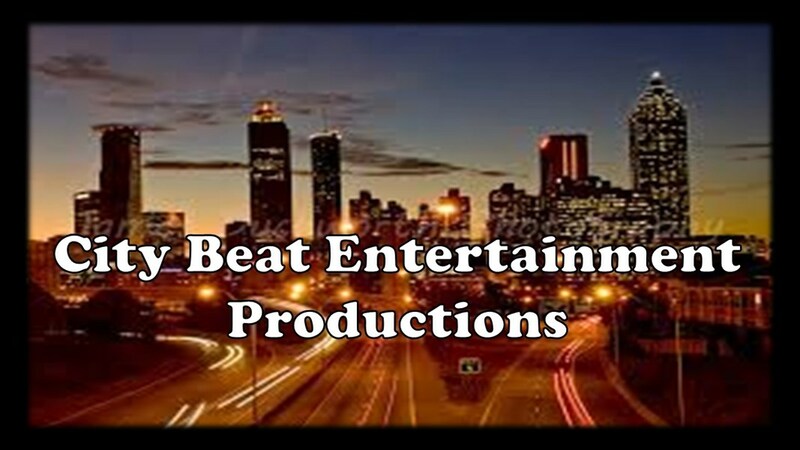 Please note CITY BEAT ENTERTAINMENT PRODUCTIONS will also travel to Cassville, Acworth, Kennesaw, Marietta, Canton, Emerson, Roswell, Cartersville, Waleska, White, Alpharetta, Lebanon, Atlanta, Dunwoody, Oakman, Powder Springs, Smyrna, Ball Ground, Clarkdale, Austell.